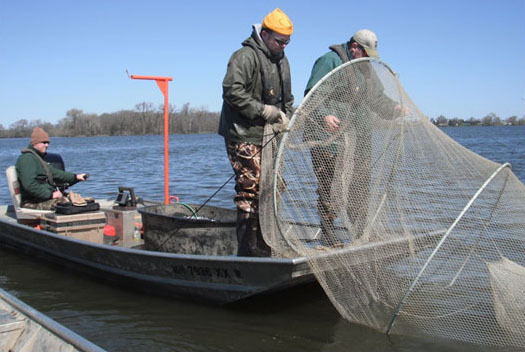 A Windom area fisheries crew sets a trap net. Anglers who fish in Pipestone, Murray, Cottonwood, Watonwan, Rock, Nobles, Jackson, Martin, southern Lincoln and southern Lyon counties benefit from the management, habitat and oversight work of the Minnesota Department of Natural Resources' Windom area fisheries staff. Area Fisheries Supervisor Ryan Doorenbos and a staff of four full-time employees manage 80 fishing lakes and 2,000 miles of rivers and streams. 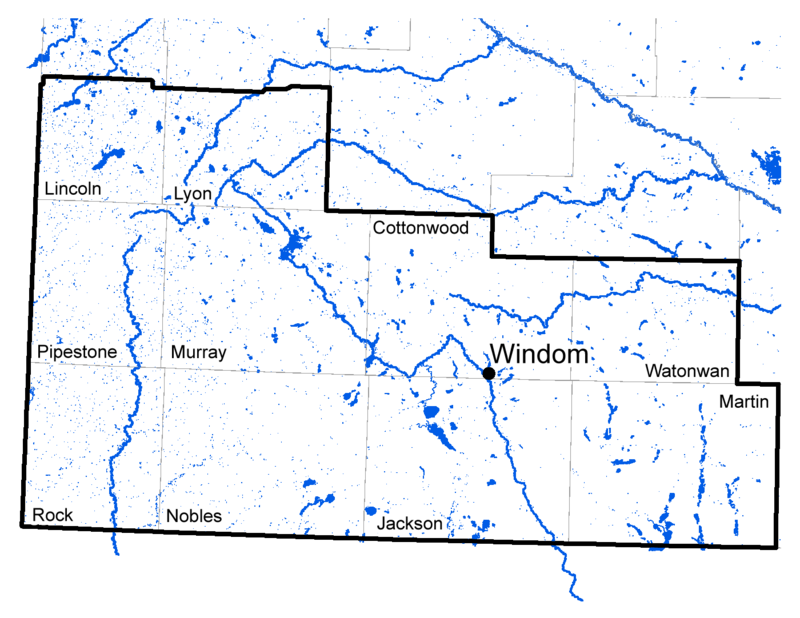 These waters include popular fishing destinations such as Lake Benton, Lake Sarah, Lake Shaokotan and Lake Shetek as well as several other smaller prairie pothole lakes with remarkable productivity for walleye, yellow perch, northern pike, panfish and numerous other fish species as well as the relatively new muskellunge fisheries of Fox Lake and the Fairmont Chain of Lakes.